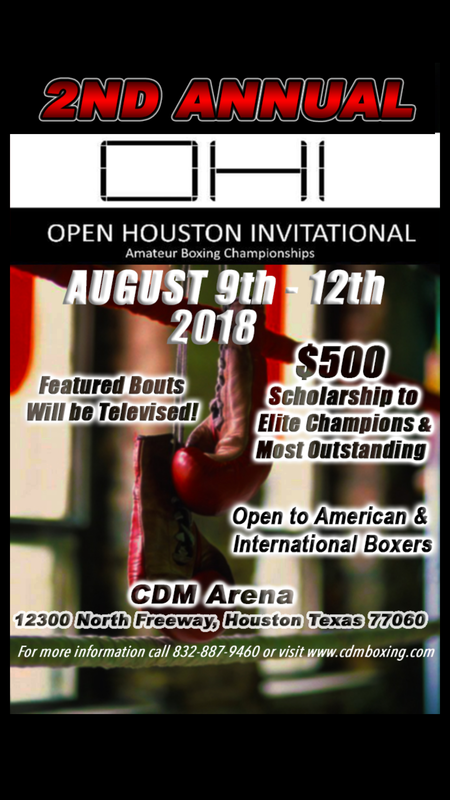 I know the list is full I have a 13 yr old can fight 114 to 119 lbs open in case their are opening i can be reach at 214 862 2925 Coach Sean. 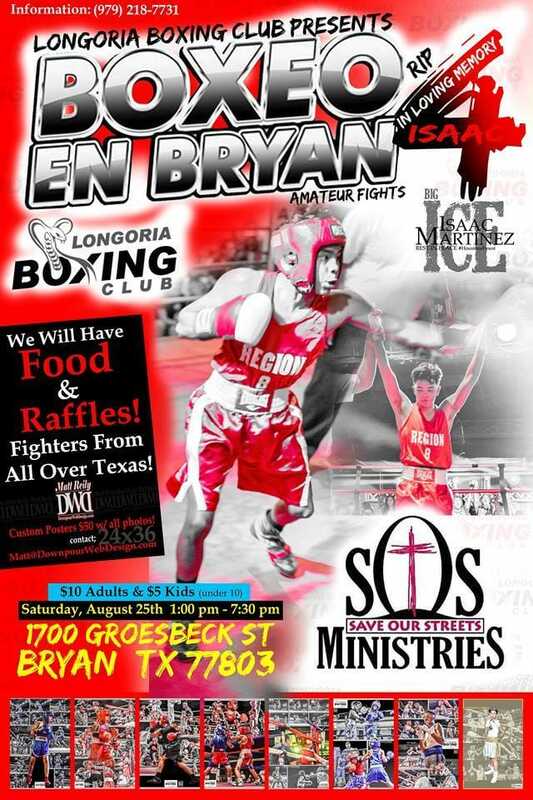 Angel Herrera at 713 377 3278 to prematch for the DYNASTY boxing show August 15. THIS IS FINAL!!! NO MORE PREMATCH AND NO WALK UP WEIGH INS!! THANK YOU AND HOPE YOU ENJOY THE SHOW!!! This is the list of bouts. No I never agreed to Adrian vs Tavyon Locks. I agreed with Savannah. Angel please make this correction on the bout sheet. I agreed to what I wrote below. Thanks! 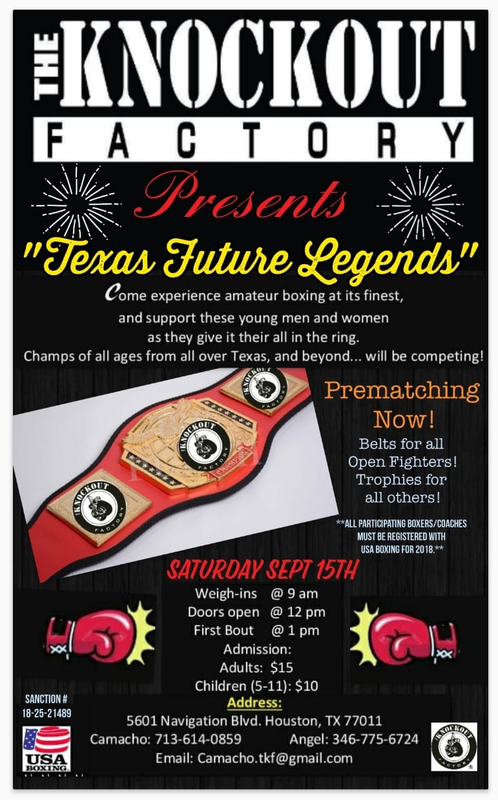 Contact Owner/Coach Jesse Morales 832-638-0106 Dynasty Boxing Club. Pre-match confirmed. Please add to the bout sheet. Prematch for this show and any other show. I have Eduardo Torres 15/123/14 and would like to match with Abel. Contact Coach Ced 713-806-9147. Please contact Coach Richard for prematching at (832) 640-8760. Fearless Boxing Gym please email your pre-match you would like to make to Nancy @ fearlessboxing1269@gmail.com Thank Ya. Sanchez 12/100-105/0 would like to match B. Hernandez 13/105/2 from Lion Heart tried to call no answer left message . Please add to bout sheet. Richard from Aztlan 832 640 8760. 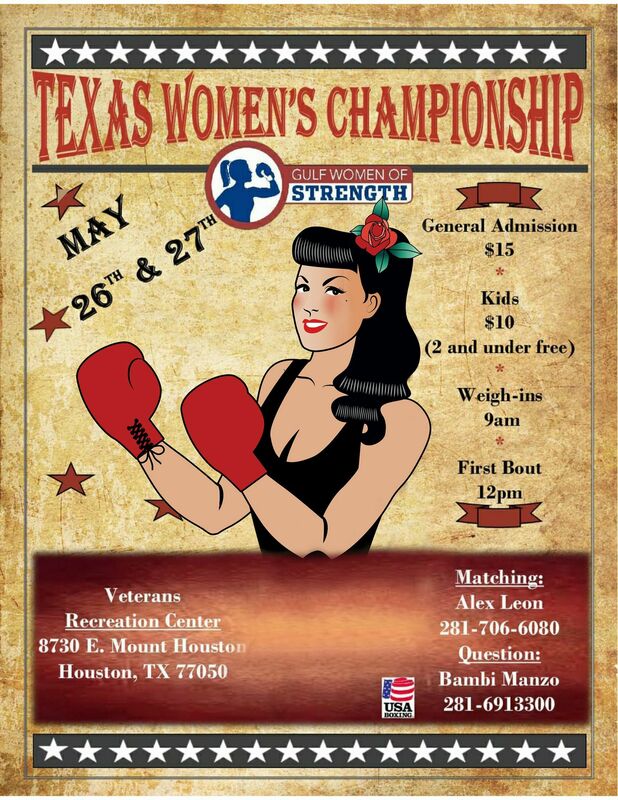 Please contact Coach Manny at 832-785-0148 fro pre-matching. We are omitting Roberto Salazar, Druntay Miller, Donald Reed, and Terrance Wooten from this show. 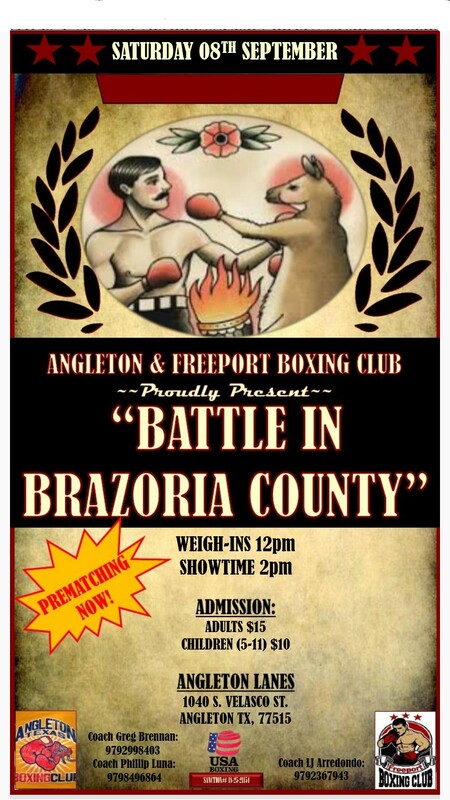 wanna match Juanito Velazquez with Davion Mcelroy lionheart boxing? stephen isbell 165 .6 fights. 23yearsold ….